Within our family there are a number of great love stories; however, this month we shall honor the lifetime love shared by my Aunt Linnie Jane and her beloved husband, Edgar. Edgar Harold Burks, Jr. was the only child of Edgar Harold Burks, Sr. and his wife, Mary Louisa Mouck Burks. Born 17 March 1921 in Pineville, McDonald County, Missouri, Edgar grew up in the small town shared by the Joslin family. His parents owned and operated a mercantile in the town. They attended the Baptist Church. Because his name was the same as his father’s, Edgar became known as “Junior” in his early years. After leaving his hometown to embark upon his formal education, ultimately achieving his doctorate, he became known as Dr. Edgar H. Burks. Linnie Jane Joslin was the second daughter (born 31 Mar 1922) to James Arthur Joslin and wife, Carrie Edith Bullard Joslin. Artie was a farmer and also operated a butcher shop in the town of Pineville as well as serving as the area mail carrier. Carrie was involved in many activities for her church, her ladies clubs, as well as maintaining their home and caring for their children. The Joslins were very active in their church. The earliest story related to your author concerning Linnie Jane and Junior Burks was that neither young child could properly pronounce their “Js,” thus, as toddlers they called one another “Anie” and “Unor.” Interesting that they considered one another to be best friends even before they were old enough to speak clearly! Surely, this was a love affair that was destined to occur. They encountered one another often as Mary Burks and Carrie Joslin were best friends and shared many civic activities together. The mothers’ close and loving friendship would continue throughout their lives. Our grandmother, Carrie Joslin, was gifted with the ability to memorialize everyday events as poetry. One of her poems recently published in this ezine concerned the budding love affair between Linnie Jane and Edgar and may be read here, titled “Courting” and though the date of publication was listed as about 1942/1943, the date was more likely about 1938 or 1939: "Courting"
On 24 March 1940, Edgar and Linnie Jane would recite their vows of marriage, promising to love another, to bind their oath of marriage according to the laws of God, and to be devoted marriage partners through prosperity and financial distress, through health and sickness, as equal and sharing partners, forsaking all others until death dealt them separation. These vows would be upheld with joy and laughter, and a fierce devotion to bearing an equal yoke. The young married couple then embarked on a life filled with service to God and man, surprise events, adventure, life-threatening civil wars, and their ultimate quiet enjoyment in their golden years. Edgar and Linnie Jane attended college together at Southwest Baptist College in Bolivar, Missouri, following their vows of marriage where Edgar entered into his ministerial studies and Linnie Jane majored in Religious Studies. She was also active in Literature and Writing, being elected President of the English Club, a staff writer for the student newspaper “The Mozarkian,” and being drafted into the Sigma Thu Theta sorority. Edgar was also quite active, serving on the Baptist Student Council, studying Greek, serving as Parliamentarian of the English Club, and participating in the Ministerial Conference. Following his ordination as a Baptist minister, Edgar accepted pastorships at various churches over the next several years. 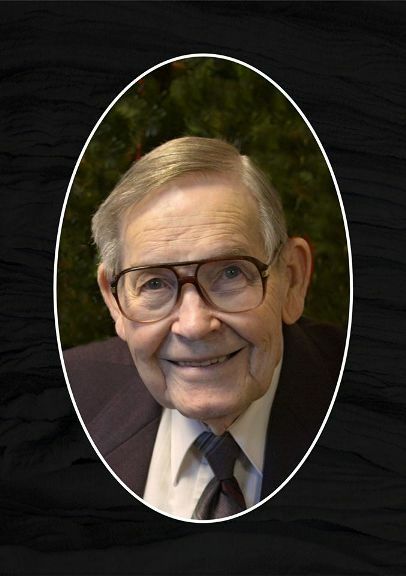 He guided Baptist churches in Noel, Splitlog (Goodman), Cabool and Ash Grove in Missouri as well as churches in Texas and Kentucky. In late 1954, in the church at Cabool, Missouri, Dr. Burks invited the congregation to participate in a drive for Missionaries by holding a Lottie Moon Mission Movement in their church. After a full week of inspired sermons and witness statements from various speakers from around the nation, the drive had not resulted in the call to service by those attending as had been hoped. On a late evening, following a mid-week service, Linnie Jane and Edgar knelt at the altar to engage in fervent prayer that God would bless their efforts by guiding acceptance from the persons He wished to carry on His work abroad. Following several minutes of intense prayer, there was heard an audible question: “Why not you?” Both Linnie Jane and Edgar turned, (thinking the question must have been voiced by the other) and began listing the “obvious” reasons they could not become missionaries: they had a child, they were too old, they were involved in a long-term commitment to their church… Then, they realized the query had not come from either of them. Thus, they began searching the aisles and hallways to locate the one who had voiced this question. Not another person was at the church. No cars other than their own occupied the parking lot. They had both heard an audible Call to Service from their beloved Father in Heaven. Thus, they contacted a few of their mentors from within the various universities and churches and Baptist organizations they had served alongside. With each word of opposition they presented, some source would break apart the stumbling block. Within months, all questions of denying the Call had disappeared. Thus, they headed to Louisville, Kentucky, to finalize their training. 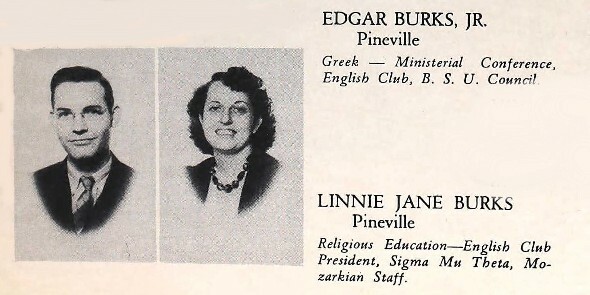 Linnie Jane and Edgar were to become missionaries. Where they would serve, only God knew. “The Burks were appointed as missionaries of the Southern Baptist International Mission Board for work in Nigeria, West Africa, serving there for thirty years. The Burks were assigned to teach in the Nigerian Baptist Theological Seminary, Ogbomosho. In addition to teaching duties at the Seminary, Edgar also served in the Missionary-Advisor (Director of Missions) to the Igbomina Baptist Association, 90 miles north of Ogbomosho. Most week-ends were spent among the villages there, encouraging churches and helping plant new churches. In 1965, Edgar was elected the Executive Secretary of the Baptist Mission of Nigeria and they moved to Ibadan, where offices for the Baptist Mission and Nigerian Baptist Conventions were located. In addition, he also served as Director of City Missions and advisor to churches in the area. In 1976, Edgar asked to be transferred back to the Seminary and again picked up the teaching ministry and office of Vice-Principal. His great joy through the thirty years in Nigeria was to see his students grow into capable pastor, church and convention leaders. This sounds so good, so sweet and easy and wonderful. It fails to speak to the trials and tribulations faced by the Burks as they answered their call to service. 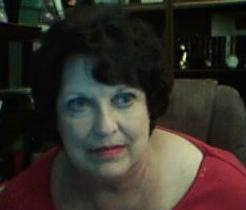 A few of the stories related to your author through the years either directly by Uncle Edgar or Aunt Linnie Jane are now retold to the best of my recollection. First of all, Linnie Jane was gifted with the ability to play music on any stringed instrument – by ear and without training. She was so very good that in college, she gained the position of soloist on both piano and organ for the famed college orchestra. This gift had become apparent early in her life as she gravitated, naturally, to the keyboard at church. Often, as a little girl or young teen, she would be the accompanist for the church choir. After scrimping for years on the minimal salary paid a Baptist minister, the Burks managed to purchase a piano for Linnie Jane’s use. After learning of their assignment to Nigeria, they arranged for the piano to be shipped over, carefully crated to prevent moisture issues or damage. Imagine their dismay when the piano arrived – in pieces dumped in a variety of crates and barrels and missing key parts! And then, there was the first Night Market they chose to attend. Night markets were held because by day the heat was over-whelming and the villagers were busy with their usual occupations and housekeeping. The night markets were a maelstrom of activities held in little pockets of torchlight. Tents and wheeled jitneys transported the farmer’s or rancher’s goods to be displayed on open tables, with no refrigeration. Voices in multiple dialects competed with one another for the attention of the shoppers. The paths between the pockets of light were packed with swarms of humanity. Edgar told the story well, conveying to the listener his intense apprehension at exposing his young wife and very young daughter to this whirlwind of strange and unintelligible chaos. He gripped Linnie Jane’s hand in his while she held onto Alice Anne. At one tent, Linnie Jane expressed interest in fabricated artisan goods. Edgar bartered for the item she wanted. He collected the woven cloth, gripped her hand again and headed off, slightly annoyed that she seemed to be pulling back from him. After proceeding about twenty paces, he turned to urge her on – only to find that he had in his grip a very black young African woman, not his very pale and Caucasian wife! Oh, where, oh where can Linnie Jane be!!! In a panic, he immediately loosened his grip and whirled to look at all the droves of humans as they hurried past. Nowhere could he locate Janie and certainly knew his chance of spying little Alice Anne was slim to none. For about three quarters of an hour he searched, his panic and dire foreboding increasing with every step. Finally, he stopped, said a prayer and began to think: Where should he, logically, look for Linnie Jane? At that point, he heard a drum beat, then the sound of a zither but with a strangely familiar tune, a religious anthem. Could it be? Edgar began following the sound as it faded and then rose in volume along with the breeze and the chorus of voices chattering around him. Finally, at the very edge of the lighted area, backed only by jungle and complete darkness, he located a circle of tribesmen – and at the very center, none other than Linnie Jane. She was now playing the zither – and teaching the tribesmen the words to “Nearer My God to Thee.” Seated nearby was little Alice Anne, her face glowing in the light from the central firepit. The lost were now found! Interestingly, the chance music that enticed Linnie Jane to seek out the musicians would serve to ingratiate the young missionary and his family to the local tribesmen. They could not say Alice Anne, so her “name” became Shonna and her parents Mother-of-Shonna and Father-of-Shonna. Soon after setting up their house in the little village near Ogbomosho, the Burks (still in the midst of unpacking necessities) were paid a visit by the local village elder and three of his wives. Not having been apprised of local customs, Linnie Jane invited them in and turned to Edgar with a raised eyebrow. He smiled at their visitors, raised a hand to indicate “just a moment” and rushed into the little kitchen to hold counsel. They quickly brewed a little pot of local tea and set out cups to serve their guests. A bit of the local flatbread was all they had available to serve, but their guests politely tore off a piece and rather quickly finished their servings of tea. They sat there, nodding and smiling at one another, attempting to communicate by various hand gestures – not at all certain of what intent was being conveyed. After an hour, then two, Linnie Jane excused herself, back to the kitchen and then out the back door. It was time to ask for advice from their mentor – the missionary whose time in service was soon to be over – and ask what they should do. When told the complete story of the visit, he said, “On, no! You have been impolite to the elder! You have not told them it is time to go? You must return home and immediately bow to him, then each wife, smile, and show them the door. That is the courtesy here!” Done deal. In September of 1956, Edgar and Linnie Jane had made a long trip to carry out part of their mission: the planting of the gospel and, hopefully, a church among those who had never heard the Word of God. They had been transported by lorry as far as the road could go. Then, their load-bearers carted off the food, water, and other necessities for their overnight stay in the jungle. They walked, following their carriers, behind a trio of men bearing machetes to cut away the jungle vines to permit their passage. After many miles, they forded a river on a makeshift raft. Then, more miles of trudging through the jungle. Finally, they arrived at their destination: an isolated group of tribesmen, rumored to be the descendants of headhunters. There preparations for a sermon were made: trees felled, the trunks cut into logs, the logs then split into halves which would form benches for the “congregation.” Each end of the huge log benches were supported by wedges cut just for this purpose. At the front, an interpreter, and a pulpit from which Edgar could deliver his sermon. Thus, did Edgar learn of the sudden death of his father, Edgar Harold Burks, Sr., from a catastrophic and instantly fatal heart attack. The message had traveled by phone in the United States to a ship offshore, then by radio ship to ship, then to the African shore in Nigeria, then by smoke signal and drum to the jungle where he taught the descendants of headhunters the Word of God. Amazing. On 29 May 1966, leaders of the Hausa-Fulani north region (largely Muslim clergy, overlords, and their civic leaders) who were strongly opposed to liberation from British rule launched a genocidal attack on all Igbo. Their intent was to slaughter or drive the Ibo out of Nigeria completely. 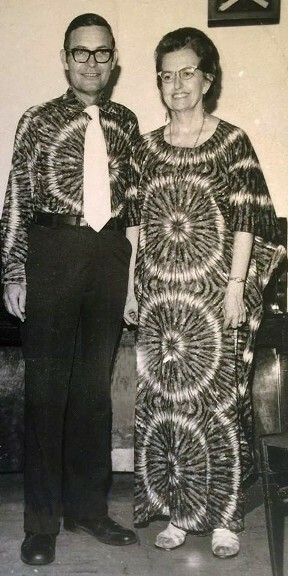 Edgar and Linnie Jane had, at that time, a devoted houseboy who was Ibo. He was a student at the Mission school, yearning to become a Baptist minister to his people. He was a bright and well-loved member of their little household. With this announced genocidal assault having been launched, it became clear that their houseboy must be shepherded to safety if he (and they) were to survive. Thus, they set out upon a very dangerous trip. They hid the young man in a crate among like crates in the back of a lorry and headed for the border. Along the way they encountered a troop of Hausa militants who had set up a roadblock. Warned of the roadblock by loyal tribesmen who had preceded them on foot, they broke open his crate, and entered a nearby river where they ducked under the water, using reeds as breathing devices. Their lorry had been driven through the roadblock by their friends and awaited them just beyond the checkpoint. They had almost given up hope when one of their allies splashed the water in an arranged signal and announced the Hausa had gone on and the way was now clear. They hastened to the waiting lorry and managed to safely convey their houseboy beyond the border to safety. “She gathered all the children and began a nursery/preschool department which has continued as a laboratory training school for church nursery and pre-school workers of the Nigerian Baptist Convention. She also served as an advisor, writer and officer of the Nigerian Women’s Missionary Union. She especially loved working with the village churches where she and her husband served as advisors and church planters. There were, of course, many more adventures during those thirty years in Africa. They both contracted malaria at different times from the mosquitoes that swarmed. At one point they were actually in a stream populated by piranha. They became quite fluent in the Yoruba and Ibo languages and many of their dialects. Their friends among the other missionaries, the African people, those who they met while in transit from Africa back to America were too numerous to count. When, in 1986, the Burks returned Stateside after ending their missionary service in Africa, they were torn between their love of two countries, two peoples, and their many friends both in Africa and in the United States. It was a difficult transition for them, but they eventually settled into a lovely home in Springfield, filled with mementos of their years abroad, a PIANO, a violin for Edgar, and a yard full of trees, beautiful lawn, flowers and the animals they cared for – both domestic and those natural inhabitants – squirrels, birds, butterflies and so forth. Aunt Linnie Jane Joslin Burks lived alongside her beloved husband until the effects of Alzheimers rendered it impossible for her to be properly cared for at home. She moved into the Baptist Home in Ozark, Missouri. Uncle Edgar visited her there daily until her death 14 March 2012. Both Linnie Jane and Edgar were born in March, they were wed in March, their one child was born in March and both passed beyond the veil in March. A fascinating coincidence. This story is one of a love that began between two little toddlers and lasted throughout their lives. The marriage of 72 years is only a part of that story. Uncle Edgar was 94 when he passed away, having lost the love of his life four years prior in 2012 when she was 89.